The cover of this enjoyable album shows two warmly wrapped little girls contemplating nature and running across a dreamlike landscape. Survival in Iceland, a thinly populated and fragile island, is dependent on willing co-operation and that is abundantly apparent in this album by Icelandic pianist Sunna Gunnlaugs, where compositions are shared across the band to create a harmonious album. The sound is at once sparce yet warm, Icelandic Blues wittily summing up the contrast between Northern cool and a syncopated South. 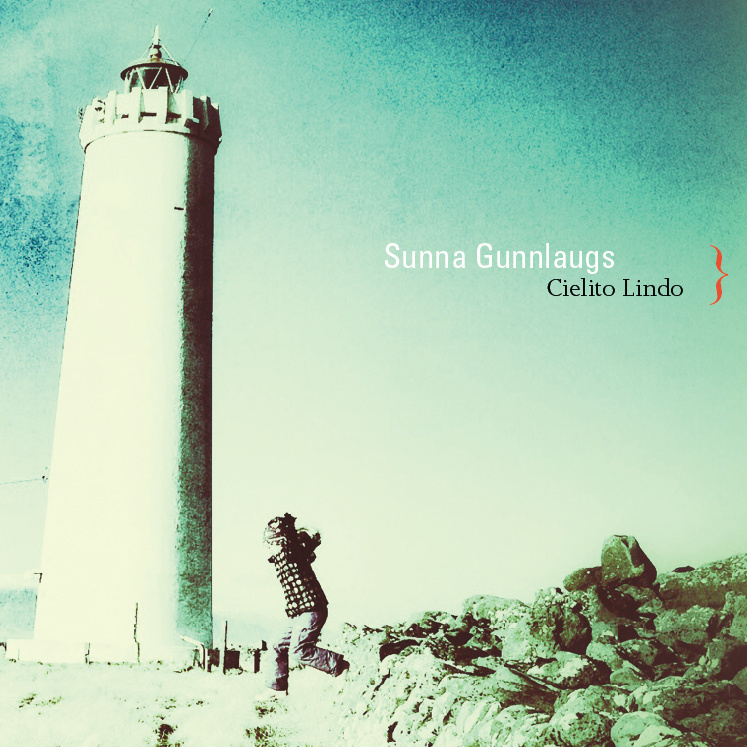 This is Gunnlaugs' third album with her trio of bassist ƥorgrímur Jónsson and drummer Scott McLemore. The pianist writes that this album was a long time in the making, and the tunes feel lovingly put together, with a respect for profound uncluttered simplicity that is the mark of a mature trio. Simple titles (long and short words) create a pleasing shape of gentle curves on the album cover, with the nadir of each curve denoted by compositions called Spin 8, Spin 9 and Spin 11. These short abstract pieces consisting of atmospheric noises, like the straining of ice, or wind growling through metal structures act like glue holding the album together, allowing the piano's unhurried lyricism to be seen in context so it never cloys or overwhelms. There is a wide variety of tempos and moods on this album. Who would have thought that a popular Mexican tune Cielito Lindo could sound so stately, piano strings thrumming like a sitar? There is an edgy uneasy feel to the standard Summertime, you listen to it afresh from that plaintive first note on the piano. A square-dancey feel to Workaround allows the band to really groove. Vetrarstef (winter theme) is a lovely slow ballad by Jónsson, you can almost see the Northern Lights in the shimmering cymbals. What's noticeable about this trio is the way each instrument takes the lead then gently passes to the next one without fuss, they seem to read each other's minds. Notwithstanding the crowded piano trio landscape, Cielito Lindo is a very beautiful, melodic, contemplative piece of Iceland by an outstandingly democratic trio, you discover more riches in it every time you listen.